The other day, I watched the third and final episode in the latest Takeshi Kitano (北野 武) series of yakuza films, Outrage Coda, and I found myself really locking into soundtrack's brooding, ominous, unsteady tone, and was certain it wasn't done by his usual go-to, Joe Hisaishi (久石 譲), whose touch is lighter, whose melodies more winding, whose arrangements more complex. Indeed, it was the work of Keiichi Suzuki (鈴木 慶一), a man whose name did not ring a bell. Today, I'll introduce him. Let's begin at the beginning. Suzuki got his start in Hachimitsu Pie (はちみつぱい), one of several Japanese-language folk acts that were present around that time, the early 70s, like Wataru Takada (高田渡), Kyozo Nishioka (西岡恭蔵), and Happy End (はっぴい えんど), the group that introduced the world to Haruomi Hosono (細野晴臣). A very relaxed and round-shouldered—yet still very precise and Japanese—take on Americana, country, bluegrass. After that, he began Moonriders (ムーンライダース), a pop act that wound up being his main gig for the 70s and 80s, until he pivoted towards scores for film, video games. 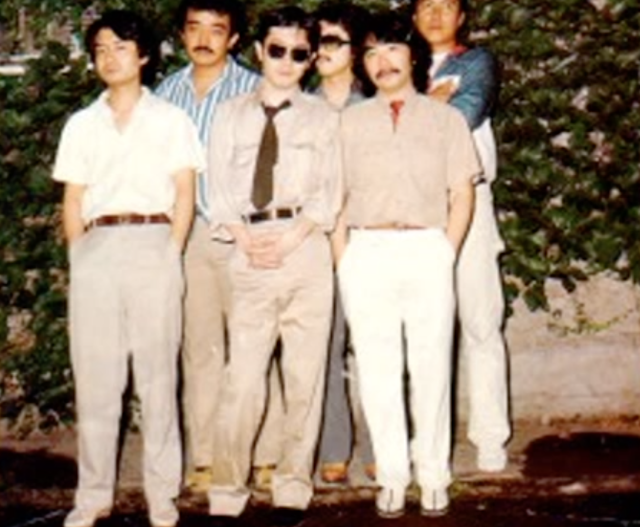 It's surprising to me that this group isn't talked about in the West; they were popular during their heyday, and they shared much in common with synth pioneers like Yellow Magic Orchestra, city pop purveyors like Tatsuro Yamashita (達郎山下), and new wave flag-wavers like Plastics. They had an arty streak and a discography full of texture, variety, curiosity. In the early 80s, Suzuki teamed up with YMO drummer Yukihiro Takahashi (高橋幸宏) to form the Beatniks and released several LPs that found the two meeting in the middle of their individual sounds lay. As Takahashi was the lead vocalist, everything they did had the air of being one of his solo records, but Suzuki lent it all a hookiness that much of the percussion-centric Takahashi often lacked. In the 90s, they actually put out a remix album called Another High Exit that included versions by folks like Aphex Twin, 808 State's Graham Massey, Bill Laswell. Interestingly, much of that record was recorded at Mark Brydon's legendary FON Studios in Sheffield, a place that was an incubator for Warp Records in the late 80s.